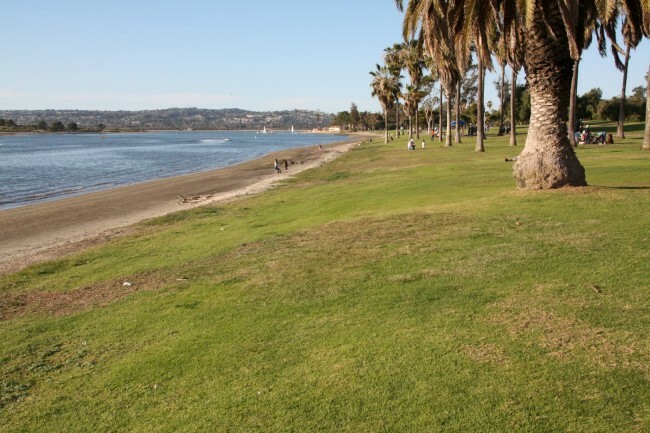 Tecolote Shores is located just south of the Hilton Hotel in East Mission Bay. There is a comfort station with a beach rinse-off shower, a playground, picnic tables, barbecue grills, fire rings and a path for jogging or bike riding. There is access to the water but no lifeguard on duty. Copyright 2018 Network Interpreting Service Inc.